As the art world descends on Miami Beach this week, works of Robert S. Neuman will be available in the Childs Gallery Suite at the INK Art Fair, held at the Dorchester Hotel, 1850 Collins Avenue. Childs will have a selection of Ship to Paradise prints along with the two volume artist’s book Shype of Fooles/Ship to Paradise. Childs Gallery can be found in Suite 164 at INK. The INK Art Fair runs December 5-9th. More information can been found at www.inkartfair.com. Neuman’s Ship to Paradise Series is currently on traveling exhibition and will open at the Bates College Museum of Art, ME, on January 18th, 2013. Long Island Pulse Magazine recently reviewed the exhibition held at the Heckscher Museum of Art, NY. 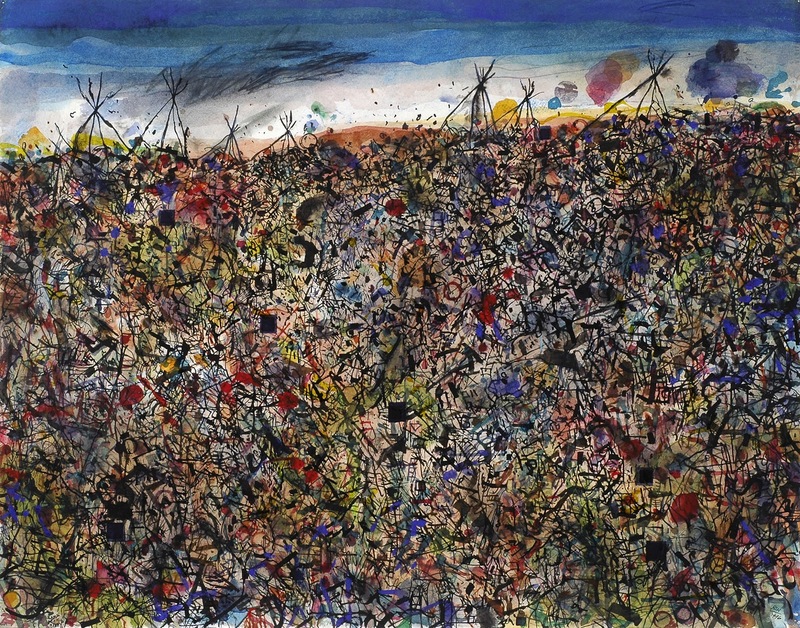 On December 14th, Adelson Galleries Boston will open Post War Works on Paper. The exhibit will include “Modern Masters” Fernando Botero, Roy Lichtenstein, James Rosenquist, Tom Wesselmann, and others next to contemporary artists, Marcus Reichert, Stephen Scott Young, Donald Sultan, Robert S. Neuman and more. The show features twenty-five diverse artists united by commonality of media. 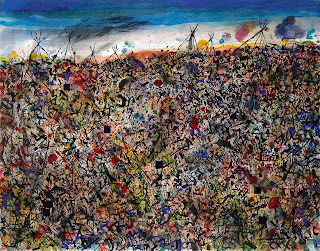 Adam Adelson, Gallery Director, has selected a retrospective grouping of Neuman’s mixed media works on paper including the Pedazos del Mundo, Voyage, and Lame Deer Series. Post War Works on Paper runs December 14-January 30th, 2013 with an opening reception on the 14th from 5-8pm. The Adelson Gallery is located at 520 Harrison Avenue, Boston, MA.